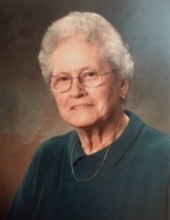 Shirley Ann (Howard) Armstrong, 86, formerly of Monmouth, passed away peacefully at OSF St. Mary Medical Center in Galesburg, IL on November 11, 2018. She was born August 28, 1932, in New Boston, Illinois, the daughter of Ezra and Pearl (James) Howard. She married James S. Armstrong on November 16, 1957 in Monmouth and he preceded her in death on November 18, 2004 after 47 years of marriage. Surviving are her daughter, Julie Armstrong, Galesburg and son, Craig (and Annie) Armstrong of Peoria; two granddaughters, Lily and Nora Armstrong of Peoria; two grandsons, James and Luke Armstrong of Bloomington; one sister, Betty Morgan, Muscatine, Iowa; a brother-in-law, Bob (Carole) Armstrong, Venice, FL; one sister-in-law, Donna Flowers, Alpharetta, GA; a daughter-in-law, Diane Armstrong Lade and nieces, nephews and cousins. She was preceded in death by her parents, her husband, one son (Brian), six brothers and two sisters. She attended grade school in New Boston and graduated from Joy High School in 1951. Shirley worked for General Telephone Company for 18 years and Monmouth Cable TV for 23 years retiring in 1994. She enjoyed cooking and collecting recipes, traveling, playing cards and spending time with family and friends. She loved sports and was a lifelong Chicago Cubs fan. She was a member of Faith United Presbyterian Church where she served on the Board of Deacons and Session, as well as many other church organizations, taught Sunday school, volunteered as a youth adviser and cooked many meals for various church functions. Funeral will be on Saturday, November 17, 2018 at 10:00 am at Faith United Presbyterian Church in Monmouth with the Rev. Brandon Ouellette officiating. Burial will be in South Henderson Cemetery. Visitation will be at the church from 5-7 pm on Friday, November 16, 2018 and one hour prior to the service on Saturday. Memorials may be made to Faith United Presbyterian Church in Monmouth. To send flowers or a remembrance gift to the family of Shirley A. Armstrong, please visit our Tribute Store. "Email Address" would like to share the life celebration of Shirley A. Armstrong. Click on the "link" to go to share a favorite memory or leave a condolence message for the family.